Haas driver Romain Grosjean has hit out at the same old race winners in Formula 1, and expects no change until 2021. The last driver to win a race outside the top three of Mercedes, Ferrari and Red Bull was Kimi Raikkonen driving for Lotus in 2013, while Force India’s Sergio Perez was the only driver outside those teams to make the podium in 2018 in Baku. New aerodynamic rules in 2019 have been brought in to make racing more exciting by promoting overtaking, but Grosjean isn’t expecting to see any change. Speaking via fi.com, he said: “Formula 1 needs to get better at having more chances to win races. “[But] I don’t think that’s going to be before 2021. “Ideally you would like as many teams as possible to be fighting for a win. “What’s the point of coming just to be always behind the same [drivers and teams]? 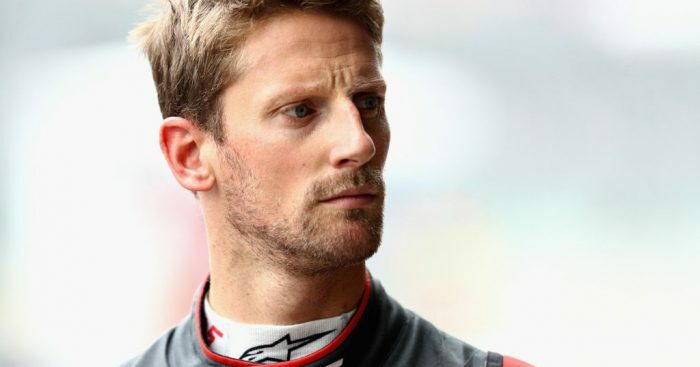 Grosjean went on to claim that the real racing is in the midfield, the place where Haas have shone despite being the youngest team on the grid. “If you look at the midfield race last year was quite exciting, a lot of changing of orders,” Grosjean added. “And then there’s another race at the front. “We set the bar quite high up last year with fifth. Obviously we want to keep an eye on fourth if it’s possible. “Again I’m not thinking we’re going to beat Red Bull, Ferrari or Mercedes this year. “The first indication is going to be how good the car is in Barcelona, and then how much development we can actually put on the car for the season.